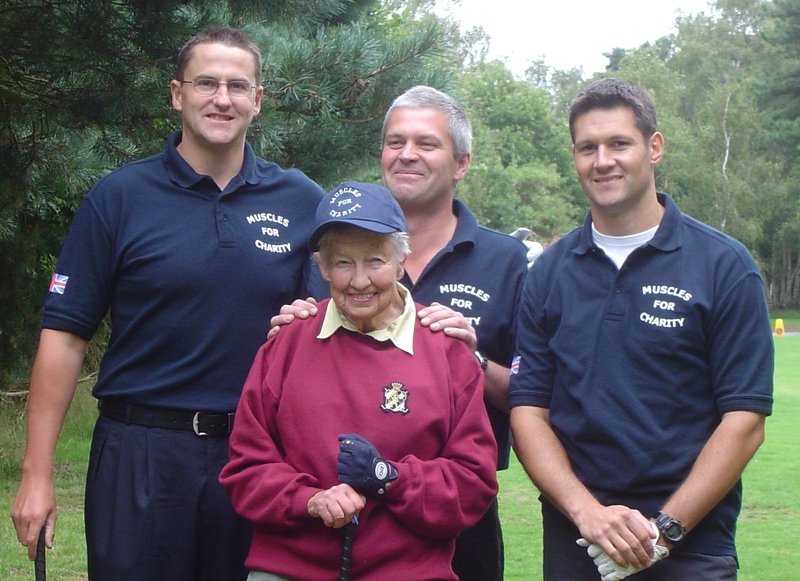 Malcolm volunteered his services, experience and aptitude for hard work within weeks of Muscles for Charity being formed, and featured in a photograph taken for the Daily Telegraph magazine in 1999. Co-founder Phil Boswell summed up the teams loss with this tribute, ‘Malcolm was a mainstay at the start and, my, what a grafter! He was a total one-off. A real no-frills, no-fuss sort of guy. Pragmatic, very self-sufficient, energetic and a total lunatic when it came to physical effort. Malcolm was a veteran of over 70 muscles projects and ten times as many stories. Here’s a reminder of our friend and colleague. Celebration of 100 completed projects at Kesgrave 2005. Malcolm offers to paint Kate Lacey during a job at Sudbourne 2004. DURING 2015 MUSCLES FOR CHARITY ALSO LOST THREE OF OUR DEAREST SUPPORTERS, TINA KENT, BRITA-MAJA BRESTNER AND JUDGE CAROLINE LUDLOW. 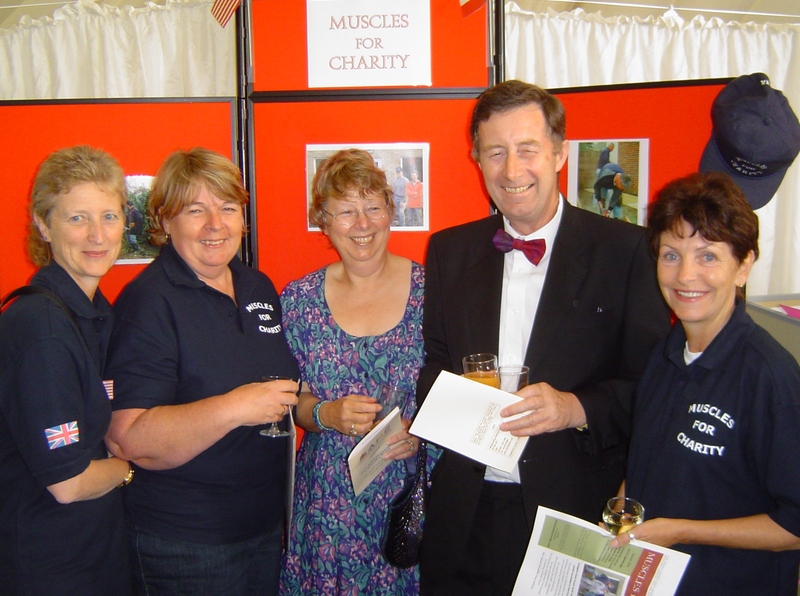 UK Muscles for Charity volunteers and friends in Europe, the USA and Canada were deeply saddened to learn of the death of Steve Kent’s wife Tina, and two UK Muscles supporters, Brita-Maja Brestner and Judge Caroline Ludlow.